So, let me put this out there right away: I’m not going to be on TV. However in the past couple of months I’ve noticed a dramatic uptick in the number of emails I’ve received from ‘TV Producers’. Over the past few years since I started writing on the Tall Blog and since I joined Tall Clubs International (and won the Miss Tall International pageant), I always seemed to get a request or an email about once a month from someone indicating that I should contact them regarding a new, exciting TV show about Tall people. The first time it happened I was SO EXCITED! I was living in Portland at the time and this is also during the time when the TLC show ‘Little People, Big World’ was really gaining momentum. I thought that maybe I had a shot of becoming a hit reality series especially since the Roloff’s live right outside of Portland. I could totally relate! That new star could be ME. The producers and I exchanged many emails and I sent multiple videos answering their many questions. I thought I was a shoe-in! This went on for several weeks. And then….nothing happened. Each day I’d excitedly check (and re-check) my email until one day I finally realized that I wasn’t going to be a star. Now fast forward several years later, multiple emails later, and many videos later. I’m still not on TV and I’m not as naïve to the process. I still think I’m quite funny, witty, and totally TV material…but I’m not on TV. And actually now that I’m a little older (and wiser? Yes, definitely wiser) I think I have good material to be on TV, but I don’t think I should play myself. But that’s a whole other blog. What I find interesting (and definitely a learning experience) about this whole process is the direction that each of the producers wanted to take the series. Lonely, TALL woman can’t find a man because she’s so tall. Woe is her. Well…that’s not real life. It might be real for some women, but it’s all about choices. This makes me digress into another quick story. I could’ve been on TV. Right after I moved to Madison, WI in the fall of 2012 I got an offer to be on the Steve Harvey show to be part of a dating show. They asked me to be the Tall Girl and they would have 3 Tall Guys that I could pick from. They would then film a ‘Dating Game’ if you will, and the winner and I would then go out on a date. Which of course would be filmed for TV. I declined the chance to be on the show citing my brand new job as my main reason, but I also wasn’t completely comfortable with another outlet providing the message that Tall Women can’t get dates. That seems to be the usual message. Hmmm….frustrating. So I suppose the whole purpose of this blog isn’t to stop producers from emailing me. Quite the opposite in fact. Keep those emails coming, however let’s focus on real life. I’m a normal person who happens to be a little taller than most people. That’s it. For now let’s continue with all of the glorious adjectives that describe me….and we’ll also go with the fact that I’m normal, but taller. I have a t-shirt just like this, it’s part of my dating criteria. I’ve been on Match.com for a little over 3 months searching for my other half and I have to admit, I’m sorely disappointed. I know I said I was going to have low expectations and high hopes and I really tried, but I couldn’t help but get excited every time I saw an email from a member of Match. My hopes were dashed each time. My entire life, height has never been an issue when I’ve dated. I’ve never cared about the height of the past men I’ve dated because I don’t want to miss out on a great personality. But this time I decided that I want to date ‘up’. I decided this because my last boyfriend was my height and I have to admit, I loved it. I want that again and unless some guy completely wows me, I need someone close to my height. I’ve had 67 winks, 28 emails, 14 guys have favorited me, and my profile has been viewed over 600 times. Setting aside the couple of guys who emailed me and I consider them to be friends, not a single guy has caught my eye. At first I thought some of the guys were kidding around when I got an email from them and saw their profile. But, I sent emails back just to be nice (most of the time). And when I say kidding around, what I mean is they had profile pictures that they had obviously taken themselves either in the bathroom by a mirror or without a shirt on. Very unprofessional. But I tried. I thought, “Hey, he’s probably really funny”. Well, I’m here to tell you that they weren’t funny. They were serious and a couple of them didn’t have jobs, or ambition, or a sense of humor and were actually quite disgusting. Total flop. I even emailed back the guys that obviously couldn’t read my requirements and were only 5’10” or 5’11” Again, my mistake. Wow. I’d like to say what a total error this entire Match.com experiment was but I’m trying to remain positive. It’s a delayed success. Obviously I’m not meant to find my match, on Match. Now on the other hand, I can’t expect the guys to do all the work so I probably should’ve emailed or winked at more guys than what I did. I’ll admit, I only reached out to 5 guys. None responded. None. Not a very big boost to my ego. I’m not sure why, but this picture seems to be the perfect picture to insert right about now. Please note the butcher knife in my head. Back to square one. Well, kind of. I guess you could say I didn’t really start out at a square at all. I’m trying and I guess that’s the hard part. One step at a time. I caught a lot of flak for this the last time I posted about it. The height thing that is. That’s okay, I’m a big girl and I can handle outside opinions. But I’ll tell you, it’s what I want. I’m looking for a TALL GUY!!! While I appreciate the opinions, I’ve had 39 years to figure this stuff out. So (cute, fun, hilarious, etc) Tall Boys….come out of the wood work!!! I’m waiting…. An update: I’m adding on one more paragraph because the one thing I didn’t mention in this whole article is my height. For those newbies that may not know, I’m 6’4″. Where has Holli been??? Yes, I have taken a little vacation from writing but now I’m back because I have stories. And I have to tell you where I’ve been. Last week the annual Tall Clubs International Convention was held in Seattle, WA and let me tell you I had one of the best times ever!!! I laughed and I partied until 3:00 am just like I was young (er) again. It was an incredible time. Ylian shot video after video and they are awesome!!! I’m unfortunately not going to say much on my first day back at blogging I will, however, leave you with this wonderful link to go check out the videos for yourself. Don’t stop at the first one, there are about 10 videos from 2011 as well as many videos from previous Portland Skyliner events. 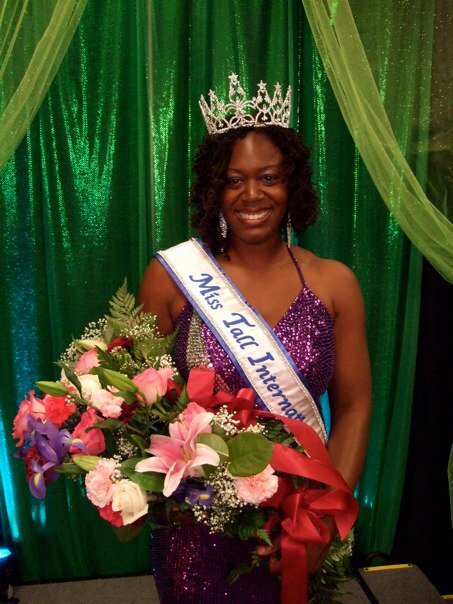 Incidentally, Miss Talisha Tolliver is your new Miss Tall International 2011!!! You all should be checking out your local TALL clubs because this is too much fun not to share!!! Yes, the resolution time has come and like everyone else I’ve taken stock of my perfect life and decided that there a few things I could work on. Shock! I’m not as perfect as I thought. I guess that change is good although it can sure be a difficult thing to do. 2010 was a good year with some amazing memories. It’s always nice to take a look back to see what actually happened. 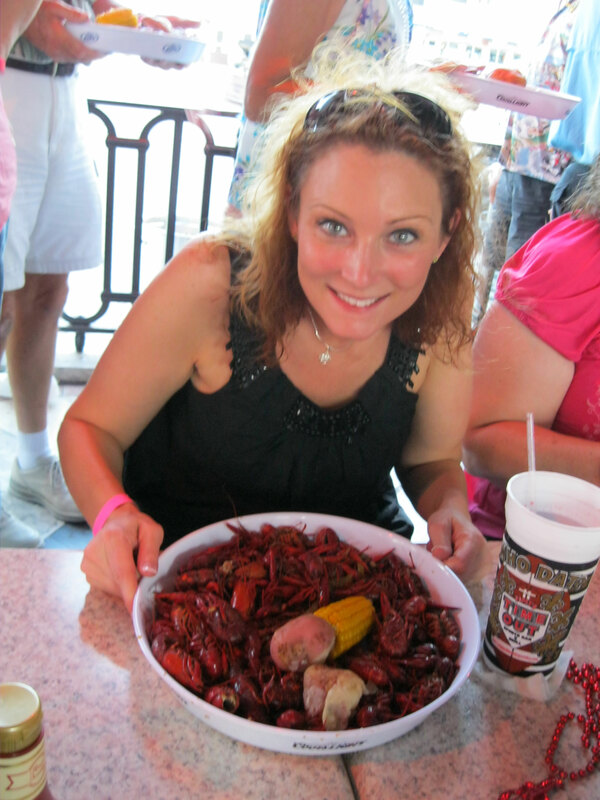 Crawfish, crawdads, crayfish...New Orleans Tall Convention. 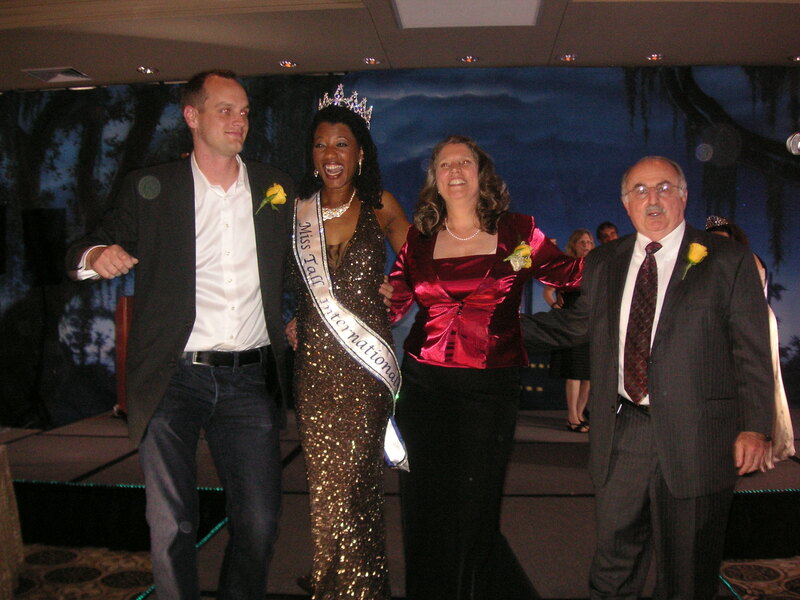 Some of my best memories of 2010 were of course, reigning as Miss Tall International® for the first half of the year. I was able to visit several Tall Clubs in 2010 and celebrate new friends and new memories. We had some pretty awesome weekends in Chicago, Detroit, Florence, OR, as well as the annual convention which was held in one of my favorite cities, New Orleans. Any time you put Tall Club International members together…it’s a party. The New Orleans Convention holds many memories for me because this was it. No more Miss Tall International title for me and it was time to pass the crown to the next (very deserving) Queen. Great memories. Another great memory of 2010 is TRAVELING. Simply put, I love to travel. If I was independently wealthy you’d be hard-pressed to find me because I’d always be somewhere. I take weekend get-a-ways the most because they are the easiest with my job and it’s also the fastest way to pack loads of fun into a small amount of time. I think we hit Seattle, San Fransisco, Minneapolis, Des Moines, Vancouver BC, besides of course my other trips listed above. I’m sure I’m missing a few trips but that’s okay. I’m grateful that I was able to go and have all the fun that I did. 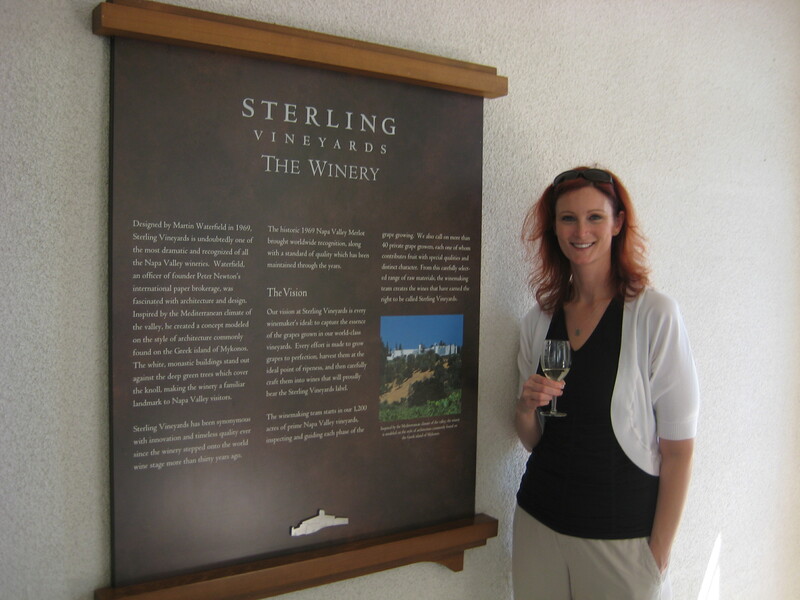 One of my favorite trips was to Napa Valley. We were able to do some wine-tasting (which was delicious) and see some beautiful countryside. It also came at time when I was the most stressed in my life and I think that’s why I have the fondest memories of my Napa trip. Of course, I can’t forget about the surprise we threw my sister Heather. Her birthday is in November so in September my youngest sister and I surprised her by throwing her a surprise birthday party. My parents were there and about 40 other people. 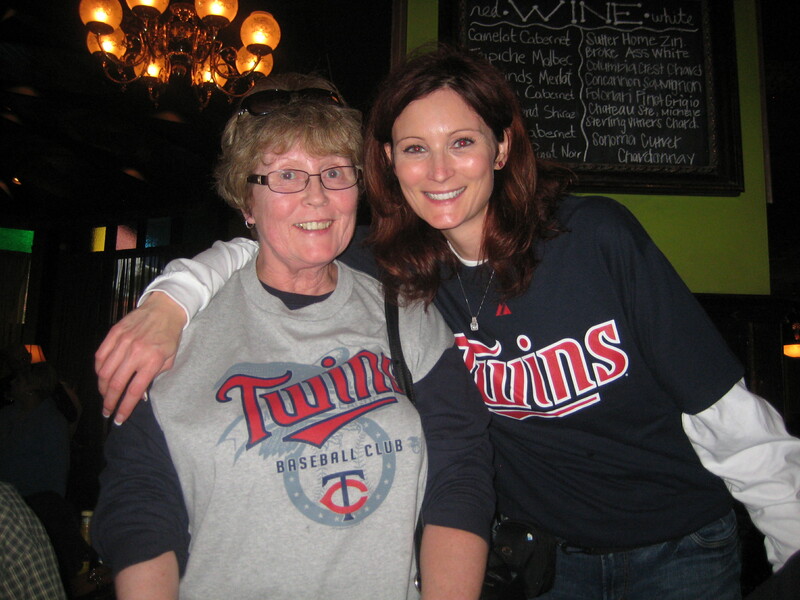 We met at a bar near the MN Twins new stadium and then we went to a game! It was so much fun. Of course, getting to see my family that lives back in the mid-west is always a treat for me since I live so far away. Mom and I at Heather's birthday party. 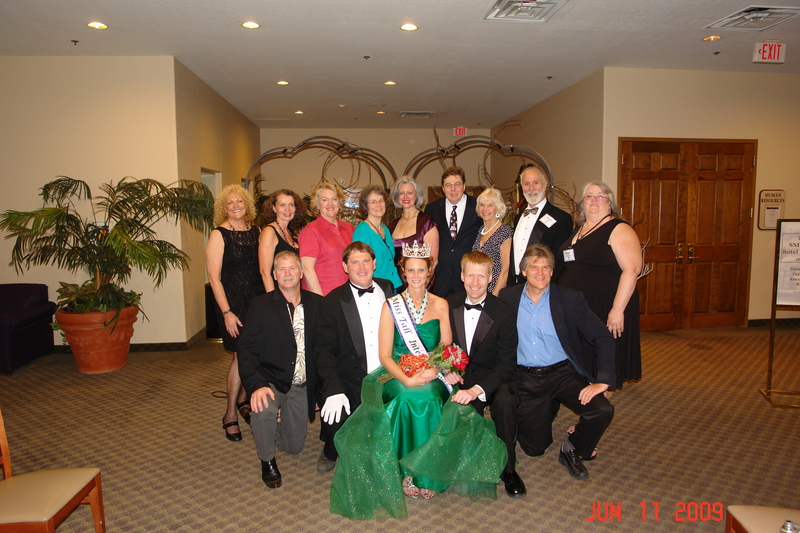 Darcy, Miss Tall International 2010 Joy Dawson, and the 2 other MTI Judges. 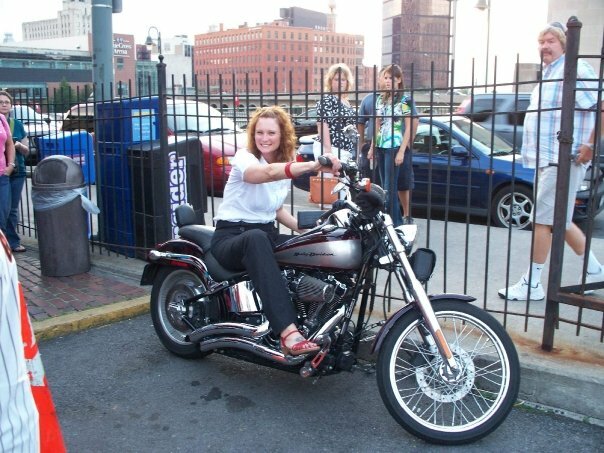 Another fun memory I have is beginning to write on the Tall Blog. Here’s how it happened: I met Darcy (the founder of the Tall Blog) at the Tall Club Convention where he was judging the 2010 Miss Tall International. We chatted after the pageant was over and voila! Here I am. I even happen to have a picture of Darcy along with the other two judges of the Miss Tall International contest as well as Joy Dawson, the reigning Miss Tall International 2010. I think they were dancing in this picture but I’m not exactly sure. Either way, doesn’t everyone look so happy? So, what could 2010 possibly be missing? I spent time with my Tall Friends, a lot of time working, and as much time as I could with my boyfriend traveling. Part 2 of my blog will talk about what I am doing already in 2011 to make sure I don’t miss out on some very important people. I’m also going to talk about my resolutions that I’ve made for this year. I’ve already started on mine and with some perseverance and a little bit of luck, I might actually complete them!